If viewing on the WBIR app, click HERE for the best story experience. Seventy-five years ago, the Secret City emerged in the quiet hills of East Tennessee. Charged by the Manhattan Project, its role was to enrich uranium for the world’s first atomic bomb and demonstrate pilot-scale production of plutonium in a nuclear reactor. During the Cold War years, the program’s research and missions evolved. Now, Oak Ridge is home to the Department of Energy’s largest multi-program science and technology laboratory as well as a premier national security manufacturing facility. At the same time, the government is still cleaning up from the sites’ historic roles. In 1989, the Environmental Protection Agency designated the Oak Ridge Reservation as a Superfund site. 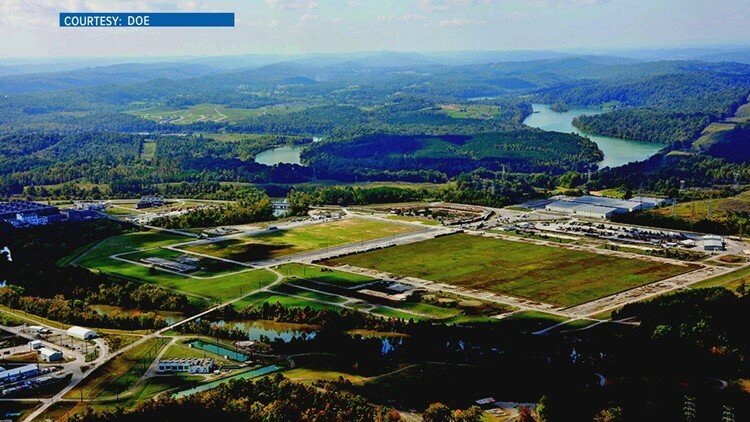 There are three major facilities on the reservation: the Oak Ridge National Laboratory, the Y-12 National Security Complex and the East Tennessee Technology Park (ETTP), which was formerly the K25 site. According to the EPA, contamination is mostly located in these three areas where the public is not allowed. 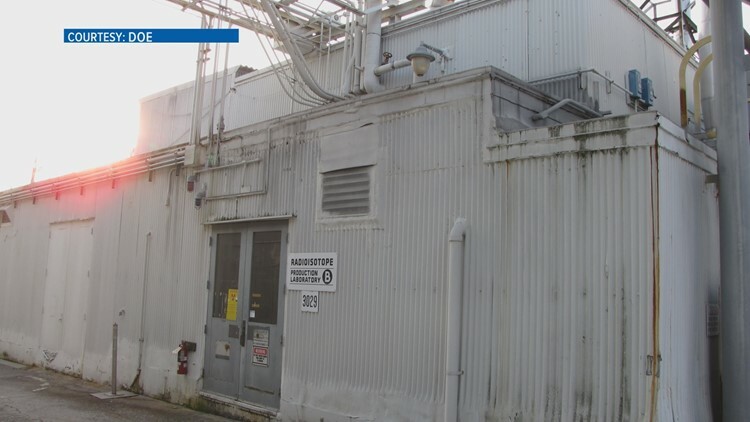 The U.S. Department of Energy (DOE) is charged with site cleanup, and the Oak Ridge Office of Environmental Management (OREM) is in charge of the work. “Our sole mission is to clean up those sites,” Jay Mullis, the manager of OREM. The government takes cleanup at Oak Ridge seriously. This year, Congress gave $640 million to cleanup efforts on the sites, up from the $400 million dollar range over the past five years. But he said there’s no one specific date for complete cleanup. “There’s decades left of work here at Oak Ridge,” Mullis said. At the Oak Ridge National Laboratory, major demolition work has not yet started. About 120 facilities are excess, or no longer used, and need to be removed. These facilities contain a long list of radiological and chemical hazards generated from research for the Manhattan Project. DOE stresses that these are heavily shielded. Cleanup at other sites is further along. At Y-12, mercury is the main challenge. During the 1950s and 1960s, more than 20 million pounds of mercury were used for lithium separation. “There’s about 700,000 pounds of mercury that was lost to the environment over at Y-12,” Mullis said. In the 1980s and 1990s, DOE did major remediation work in Oak Ridge and some parts of the floodplains of the East Fork Poplar Creek, which has its headwaters at Y-12. Monitoring has continued. But cleanup on the Y-12 site is complicated. “There were three large buildings over at Y-12 that contaminated the soils, contaminated the building structures themselves, and what we’ve seen over the years is that if we disturb the soil, we’ll have a high-flux mercury that will get into the creek,” Mullis said. 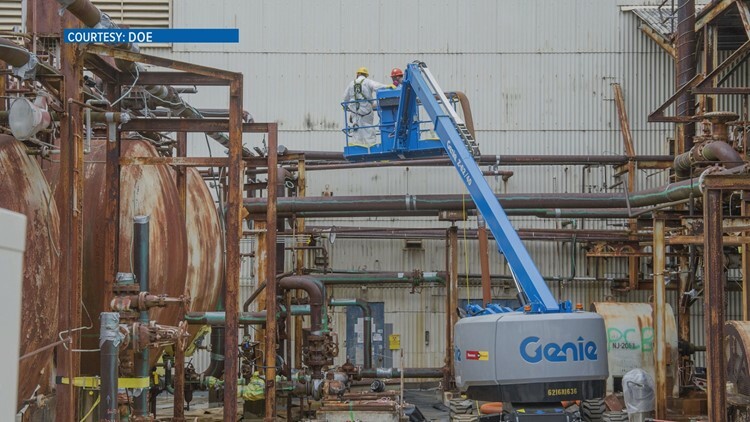 OREM is building a mercury treatment facility to try to reduce those releases, especially as workers prepare to remove some of the buildings. OREM broke ground on the center last November, and it plans to have the treatment center running in 2024. Environmental cleanup work is nearly complete at ETTP. “Out here we’ll be done with the major D and D efforts in 2020,” Mullis said. The former K25 site played its most significant role during the Cold War. 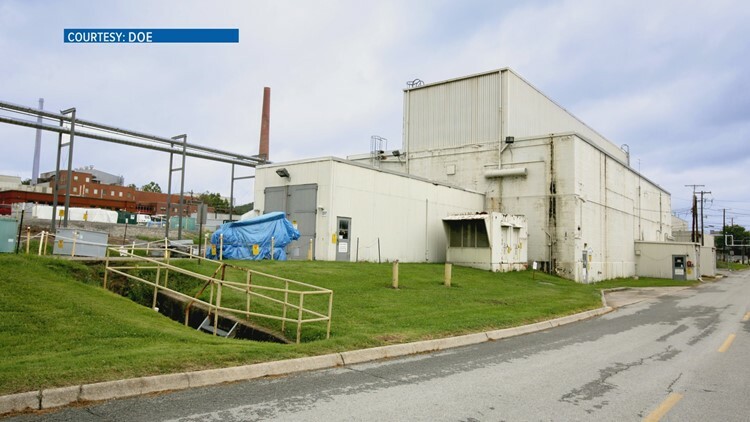 “The major contaminant out here along with some chemical contaminants is uranium, and we’ve basically cleaned the majority of that up, the large processing buildings that contained uranium are gone now,” Mullis said. More than 400 facilities have been taken down. Now, the plan is to develop the site into land for private sector industry. As of 2016, more than 20 businesses have started operating there. The site also has a 3,000-acre nature preserve and plans for Manhattan Project National Park are in the works. The Agency for Toxic Substances and Disease Registry (ATSDR) is a Department of Health and Human Services offshoot that was created for the Superfund program. It oversees the effect of hazardous waste or Superfund sites on the public’s health. ATSDR evaluated past and current off-site residents’ exposure to mercury releases from Y-12 from 1950 to 2009. The agency released its final public health assessment for the Oak Ridge Reservation in 2012. 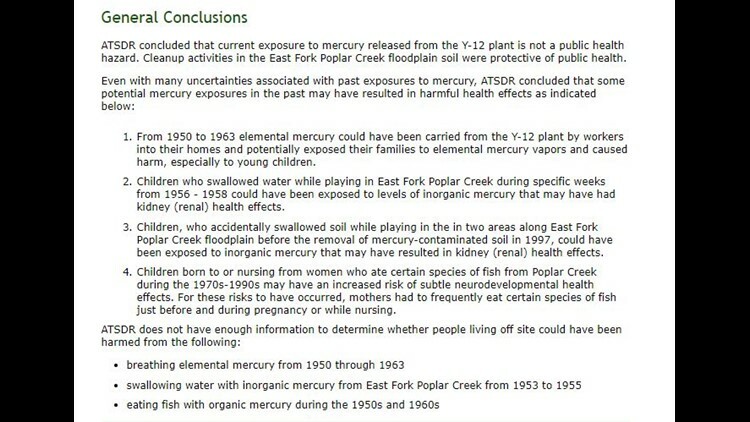 The report found current mercury release from Y-12 is not a public health hazard. But the report said potential past exposures might have caused health effects. 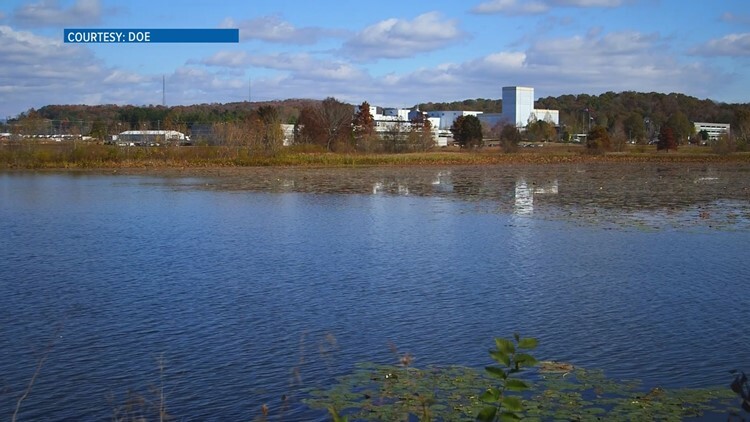 A 2010 report from ATSDR says people living near ETTP are not exposed to uranium and that air releases from 1944 to 1995 are not expected to harm human health. From 1991 to 2000, ATSDR evaluated incidence data for 42 types of cancer for the eight surrounding counties of Oak Ridge and compared them to state cancer rates. The report stated no consistent pattern of cancer occurrence was found. You can view other ATSDR reports about Oak Ridge here. In 1991, a Federal Facilities Agreement was enacted between DOE, the EPA and the Tennessee Department of Environment and Conservation (TDEC). This is a Superfund-required contract that promotes cleanup cooperation among the three groups. TDEC conducts independent sampling and monitoring around the sites, often in wells and groundwater. TDEC has put up fish advisory signs along the East Fork Poplar Creek for mercury contamination. There are citizen oversight groups as well. The Oak Ridge Site Specific Advisory Board is a DOE-appointed panel of a diverse group of laypeople. This group listens and learns about the cleanup work on the reservation and provides citizen input. The Oak Ridge Reservation Communities Alliance is an independent panel made up of city and county leaders around the reservation. It is headed by Roane County Executive Ron Woody. 10News spoke to TDEC and these advisory groups, and in general they said they believe they have a strong working relationship with DOE, and they believe cleanup is progressing. 10News sat down with Sen. Lamar Alexander (R-Tennessee) to discuss Oak Ridge Reservation cleanup and the Superfund program in general. Alexander has historically been an advocate for cleanup at Oak Ridge, especially mercury remediation. “It’s a top priority with me, I’ve been pushing to get to it for several years,” Alexander said. Alexander said he believes the Oak Ridge sites are doing better cleanup jobs than the other World War Two sites.